…just went down! Courtesy of my publisher, the ebook edition of The Astronomer’s Crypt is being offered for the special price of 99 cents for the rest of the month. The ebook normally runs $4.99, so this is a remarkable 80% discount, which means it’s a great time to pick up a copy for your ereader. If you’re already a fan, consider gifting one to a friend! 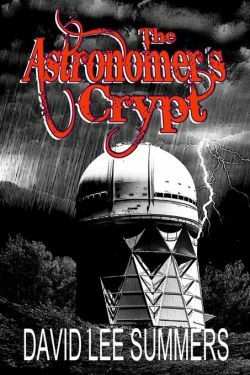 The Astronomer’s Crypt tells the story of astronomers, ghosts, drug dealers, and a monster from Apache legend colliding at a remote observatory during a violent thunderstorm. As followers of the web journal know, I’m an astronomer who operates telescopes at Kitt Peak National Observatory. The observatory is 56 miles southeast of Tucson, Arizona. The last ten miles of the drive up to the observatory are up a road that winds and twists its way up the mountain. Once you reach the summit, you find a virtual city consisting of twenty-two optical telescopes and two radio telescopes. Even so, after the sun goes down, many of the telescopes on the mountain are automated and some are only operated part time. It’s not unusual for there to be only a handful of people at the observatory at night. That all noted, Kitt Peak is both quite accessible and quite well staffed compared to some astronomical facilities where I’ve worked. I have worked many nights in my career at observatories where I’ve been one of perhaps two or three people on a remote mountain site. It’s dark. The insides are the buildings are kept deliberately dim so your eyes can adjust if you need to go outside and evaluate sky conditions. In a wilderness situation, wild animals can and do make it inside the buildings. It’s so quiet, you hear every creak and groan of the building. You’re working late at night and you’re tired and not always thinking clearly. You’re trying to focus on the data you’re taking. It’s easy for a person in those conditions to imagine many scary things. I’m home at last after a trip that took me up to Colorado to sign the anthology Straight Outta Tombstone, to Louisiana to sign my vampire and horror novels, and to Bubonicon in New Mexico where I promoted all my recent books and debuted Maximum Velocity: The Best of the Full-Throttle Space Tales. In the middle of all that was Texas and on the way from Colorado to Louisiana I stopped in Acton, just outside Dallas to visit a memorial to a distant relative of mine, Elizabeth Patton Crockett. Elizabeth was Davy’s widow and she was granted a plot of land after Texas became a state in gratitude for Davy’s service at the Alamo. She moved from Tennessee to Texas in 1853 and lived on the land until her death in 1860. 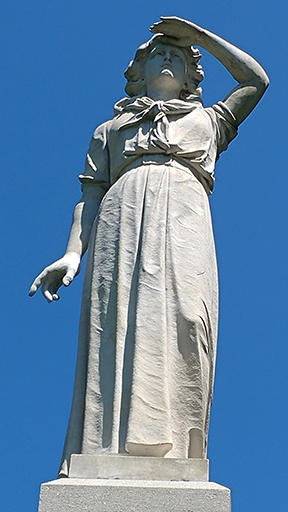 There seems to be some debate about whether the statue is supposed to depict Elizabeth Patton Crockett or a pioneer woman in general. I like to think of it as Elizabeth, or at least an idealized form of Elizabeth. The one painting I’ve seen of her could be an older version of the woman immortalized by the statue. Another homesteader in the area around Acton was a fellow named Isaac C. Burson, born in Alabama around the outbreak of the War of 1812. He died the year after Elizabeth Patton moved to the area around Acton. His daughter Martha married one of Elizabeth’s sons from her first marriage, a fellow named James C. Patton around 1859. As it turns out, Martha’s brother, Elisha Micah Burson was my great great grandfather. Three of Elisha Micah’s sons picked up and moved out of the Acton area. Two of the brothers homesteaded in Briscoe County, Texas in the late nineteenth century while my great grandfather, James Daniel Matthew Burson went on to homestead in the northeastern corner of New Mexico. The photo to the right shows him at his general store in Des Moines, New Mexico circa 1920. My daughter, who accompanied me, thought this little side trip through the heart of Texas to see a statue dedicated to the memory of a pioneer woman connected to our family was worthwhile. It’s rare to see a statue to a woman and, indeed, this one is hidden away in a quiet little cemetery. The “Acton Historic Site” is supposedly the smallest state park in Texas and is Elizabeth Patton Crockett’s grave site. I grew up knowing several women like Elizabeth Patton Crockett and elements of their personalities became templates for characters such as Fatemeh Karimi and Larissa Crimson in my Clockwork Legion novels. Lightning Wolves, the second novel in my Clockwork Legion steampunk series, is now available as an audiobook at Audible.com. In the novel, it’s 1877 and Russian forces occupy the Pacific Northwest. They are advancing into California. New weapons have proven ineffective or dangerously unstable. The one man who can help has disappeared into Apache Country, hunting ghosts. A healer and a former sheriff lead a band into the heart of the invasion to determine what makes the Russian forces so unstoppable while a young inventor attempts to unleash the power of the lightning wolves. One thing that makes this release special is that I love to listen to audiobooks while I’m driving from my home in New Mexico to the observatory where I work in Arizona. Elements of this novel were inspired by the very same commute. Almost every week, I pass the Whetstone Mountains which house Kartchner Caverns State Park. I drive by the turnoff for Tombstone, famous for the gunfight at the O.K. Corral. 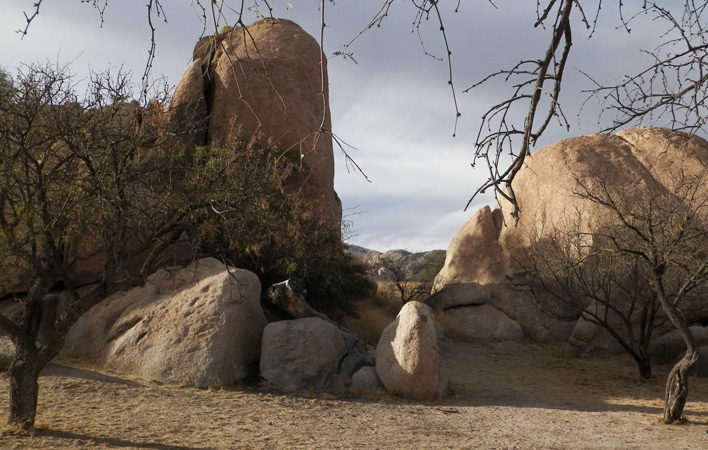 I drive through the Dragoon Mountains where Apache warriors made camp. All of these locations feature in Lightning Wolves. I look forward to giving the book a listen during a couple of my upcoming commutes through the region. Here we have a look at one of the real-world settings in the novel. As it turns out, I’m revisiting a lot of these same locations in the novel I’m currently writing. I left a few plot threads dangling at the end of Lightning Wolves which didn’t get resolved in The Brazen Shark because pirate captain Onofre Cisneros took my protagonists Ramon and Fatemeh first to Hawaii and then to Japan. Also, it seemed like it would be fun to leave those dangling plot threads alone for a few years worth of story time and see how they develop. 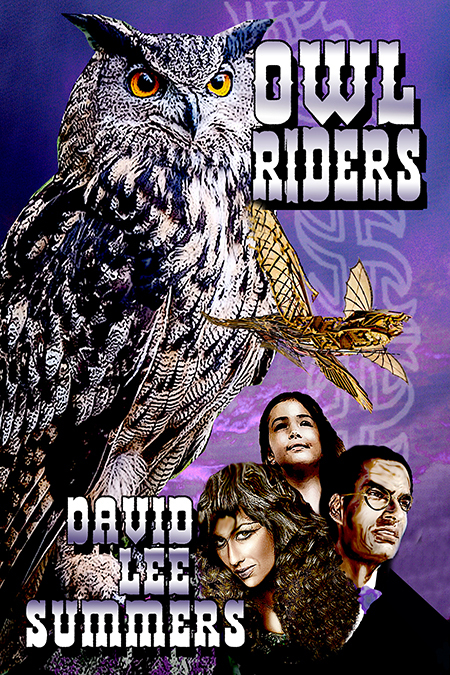 The result is that Southern Arizona is in quite a mess by the opening of Owl Riders and you know Ramon and Fatemeh will be right in the middle of it, presuming other aspects of their life don’t get in the way. The audiobook is narrated by Edward Mittelstedt who did a terrific job on Owl Dance. What’s more, Lightning Wolves was a top ten finisher in the best steampunk novel category of the 2014 Preditors and Editors Reader’s Poll. My daughter Autumn created Larissa, the young inventor mentioned in the story’s description. She served as the model for Larissa on the book’s cover. Next weekend I’ll be in Albuquerque, New Mexico for Bubonicon 48. The theme is Rockets, Robots, and Rayguns and the guests of honor will be Rachel Caine and David Gerrold. Joe R. Lansdale will be serving as Toastmaster and Lee Moyer is the guest artist. I’ll be serving on three panels over the weekend and participating in the Mass Autographing Session on Saturday. On Sunday, I’ll be the host at the 1pm session of the Author’s Tea and pouring tea during the 2:15 session. 4-5pm – Main Room – Soylent Green: It’s a Cookbook. On this panel we’ll be exploring favorite recipes or foods from SF & Fantasy. Has a science fiction or fantasy story or book inspired you to culinary creativity? Characters need to eat, right? So, what do they eat? What about drinks and alcoholic beverages? How do food choices affect the story’s plot and “flavor”? Can a meal reveal factoids about the culture and society of the characters? Does it really all have to taste like chicken? I’ll be moderating this panel that features Jane Lindskold, Laura J. Mixon, Sage Walker and Corie Weaver. 10-11am – Salon A-D – Where Have All the Publishers Gone? Anybody There? More and more people are self-publishing today. Will all writers eventually go to this format? Will we miss publishers when we don’t have them (if that happens)? What are the advantages and perils of dealing with a publisher or magazine editor? On the panel with me are Rachel Caine, Emily Mah, Gabi Stevens, and Pari Noskin. Robert Vardeman will be moderating. 5:25-6:40pm – Main Room – Mass Autographing Session All the authors attending Bubonicon will be on hand to sign their wares. 10-11am – Main Room – Are Robots Still Scary? Danger Will Robinson! Robots once ran rampant on the pages of pulp magazines and across movie screens. 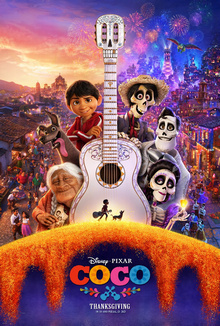 Has familiarity with computers and perhaps Wall-E softened the image of the robot? Do we still fear the day the robots take over? Should we? Can we invent even scarier scenarios now that we’re more familiar with robots? I’ll be moderating this panel consisting of Mario Acevedo, Steven Gould, Jane Lindskold, Laura Mixon, and M.T. Reiten. Of course, when I’m not on a panel, you’ll likely find me at the Bubonicon Flea Market at the Hadrosaur Productions table. Please come by, say “hi” and check out our newest books. If you’ll be in Albuquerque next weekend, I hope I’ll see you at Bubonicon! I enjoy looking at old family photos. It’s an opportunity to recall good memories and sometimes even get a glimpse of those relatives I wasn’t fortunate enough to know personally. Unfortunately, my maternal grandmother died during the Great Depression. My mom barely knew her own mother. Given that my grandmother died in the 1930s, it’s not surprising, most of the photos of her are portraits. Back in those days, few people went around shooting pictures with their cell phones! Still, I’m fortunate enough to have two candid photos of my grandmother as a girl and young woman. My grandmother moved to the small town of Des Moines, New Mexico with her family before statehood. 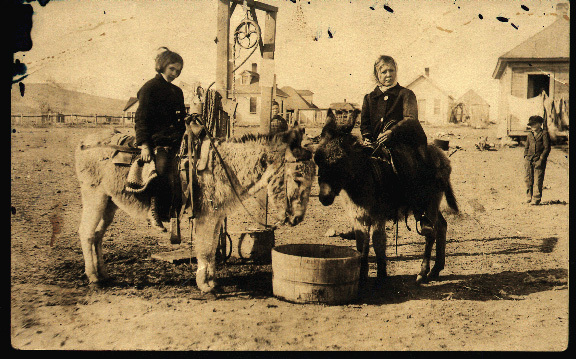 In the photo above, my grandmother is on the mule to the right. I’m guessing the photo was taken right around the time of New Mexico’s statehood. I wonder whether my grandmother was just out riding for fun, or if she was doing chores. To me, the photo looks like something right out of a Sergio Leone Western with the stark landscape, simple buildings, and even laundry drying. This next photo was taken only a few years later. This is a photo of a chemistry class at Des Moines High School in 1917. My grandmother is the young woman second from the left. I enjoy the juxtaposition of these two photos. Remember, that chemistry lab is in the very same dusty small town where my grandmother was out riding on a mule. 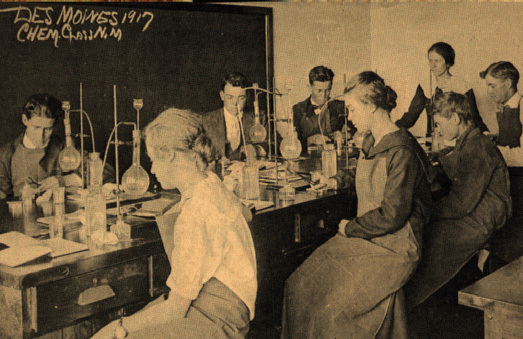 Even though my grandmother grew up at the beginning of the 20th century, New Mexico was still very much part of the wild west, but even in the wild west, high schools had chemistry labs. It’s just another one of the reasons I’m attracted to steampunk stories. It may seem fanciful to imagine mad science or incredible technology in Victorian times or the wild west, but in fact, it wasn’t so far from the story my family lived. 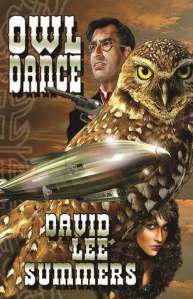 My novel Owl Dance starts out in rural New Mexico, in a town not so different from the one my grandmother grew up in. The book is available at Amazon, Smashwords, and Barnes and Noble.